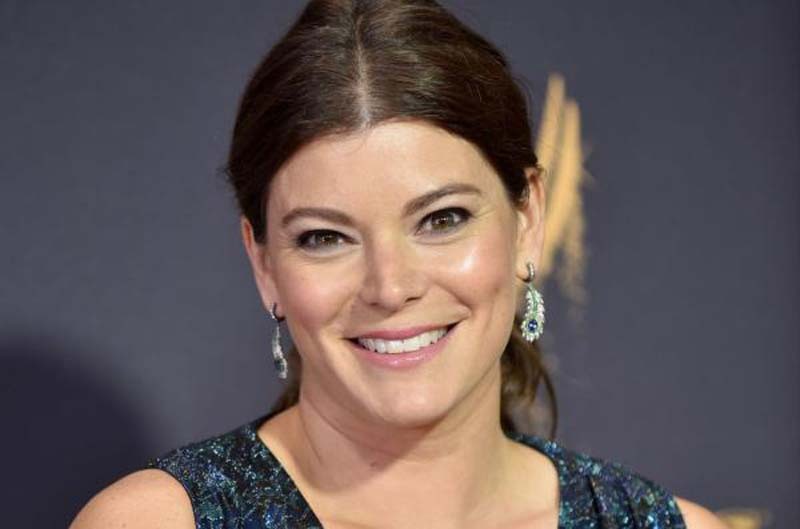 Top Chef judge Gail Simmons is a mom of two. The 42-year-old television personality and cookbook author posted a cute photo Monday on Instagram after welcoming a baby boy with husband Jeremy Adams last week. The picture gives a glimpse of Simmons' son's cheek and tiny hand. Simmons said in the caption she gave birth to the infant on Wednesday. "He's here! And he's a keeper," she wrote. "Please excuse the social media silence but I've been busy ogling this little guy who barreled into our lives Wednesday morning. Thank you friends far and wide for your love and support. So far it's been beautiful chaos. #mamaoftwo." Simmons and Adams are also parents to 4-year-old daughter Dahlia Rae. The couple confirmed Simmons' second pregnancy in a statement to People in December. "We are thrilled that a sibling is on the way for our daughter Dahlia Rae," the pair said. Simmons later told HATCHland having another child wasn't "a cut and dry decision." "We've loved the last four years with Dahlia, so it was a big move to consider going from one to two kids," she said in March. "I'm so grateful to be having our baby, but I'm cognizant of how it's going to change our lives and the systems we have in place." Top Chef was renewed in January for a 16th season on Bravo.